Browse, filter, and use data easily on the top companies in ASEAN-5 countries: Indonesia, Malaysia, Philippines, Singapore, Thailand. 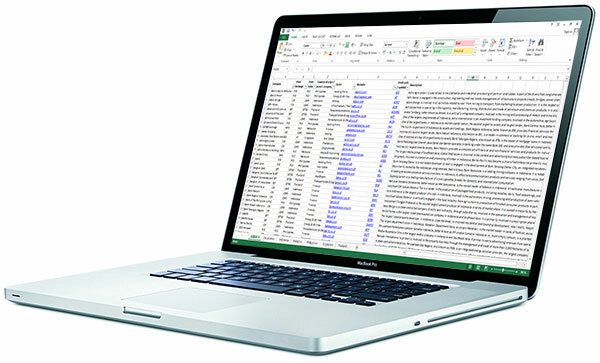 This ultimate Excel spreadsheet includes top companies and related information about the top public listed companies of ASEAN-5 countries. Companies and their relative data can be browsed and filtered very easily to be used for your specific purposes, grouping by countries, sectors, sorting websites, etc. 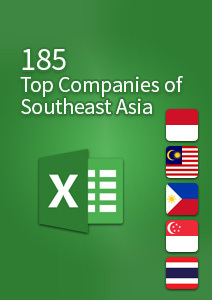 The main spreadsheet contains 185 companies from the ASEAN-5 countries. The secondary spreadsheets list the companies for each of the 5 countries stock indexes, Indonesia, Malaysia, Philippines, Singapore, Thailand, to help you work more easily on the list of companies by country. Companies listed are public limited companies included in some of the top stock indexes of ASEAN-5 countries as of November 2017. Here are the explanations of the data included in the spreadsheet, column by column. The name by which the company is known. Country of origin of the company if it is an independent company or country of the head office of the parent company if it is majority owned by another company. Main sector of business operations of the company. Companies strongly involved in 2 sectors have both sectors listed. Companies involved in many sectors are listed as Conglomerate or Holding Company if they are owning other companies involved in various sectors. The terminology differs primarily according to each country’s preference. Company’s website domain with link. Symbol or code of the company’s in the stock exchange where it is quoted. Includes a link to the stock exchange’s page of the company’s stock details. Succinct description of the company’s activity.